Our team and staff are led by experience. Vincent W. Davis, the founder and principal attorney of the firm, has more than 22 years of experience in all aspects of family law, criminal defense, and civil litigation. 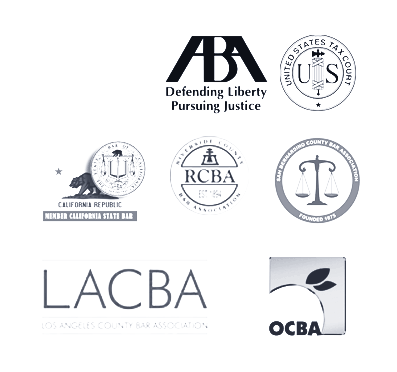 Mr. Davis is also an Arbitrator for the San Gabriel Valley Bar Association. In 2008, Mr. Davis graduated from the prestigious Trial Lawyers College. Mr. Davis was one of 50 lawyers selected nationwide to live, for 22 days, on Gerry Spence’s Thunderhead Ranch just outside of Dubois, Wyoming. He lived with and was taught by some of America’s greatest trial lawyers, judges and law professors. He learned, from their personal guidance, the winning dynamics and techniques of being a trial lawyer who represents people. The Trial Lawyers College is dedicated to training and educating lawyers and judges who are committed to our legal system and to representing and obtaining justice for individuals; especially the poor, the injured, the forgotten, the voiceless and the defenseless, and to protecting the rights of such people from corporate and government oppression. While most cases – particularly in family law and divorce – are settled short of litigation and a full trial, the firm’s attorneys always prepare as if they are going to trial. By preparing a case this way, we do our homework and mentally position ourselves to provide strong representation for our clients. When we negotiate, we do so from the strongest position possible. You have important decisions to make. Allow our dedicated and compassionate attorneys to guide you to the right ones. From our six offices throughout the Greater Los Angeles area, our attorneys work to find the creative, intelligent solutions you are counting n.
For a initial consultation with the Offices of Vincent W. Davis & Associates, call us toll free at 626-446-6442 or contact us by e-mail. Our offices are open 9 am – 7 pm, Monday through Friday, and on weekends by appointment.